Early '70s Radio focuses on the emergence of commercial music radio "formats," which refer to distinct musical genres aimed toward specific audiences. This formatting revolution took place in a period rife with heated politics, identity anxiety, large-scale disappointments and seemingly insoluble social problems. As industry professionals worked overtime to understand audiences and to generate formats, they also laid the groundwork for market segmentation. Audiences, meanwhile, approached these formats as safe havens wherein they could re-imagine and redefine key issues of identity. A fresh and accessible exercise in audience interpretation, Early '70s Radio is organized according to the era's five prominent formats and analyzes each of these in relation to their targeted demographics, including Top 40, "soft rock," album-oriented rock, soul and country. 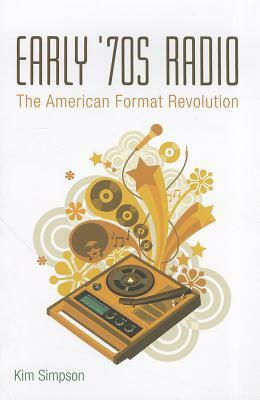 The book closes by making a case for the significance of early '70s formatting in light of commercial radio today. Kim Simpson, PhD, is a writer, musician, and radio host living in Austin, Texas.